Stars from the collection of Venetian paintings held by the Accademia Carrarra in Bergamo are currently on show in New York. While the prestigious art gallery in Bergamo’s Città Bassa (lower town) is closed for restoration some of the choicest items from its collection have taken to the road. From now until September, New York’s Metropolitan Museum of Art will be showing ‘Bellini, Titian and Lotto: North Italian paintings from the Accademia Carrara, Bergamo’. 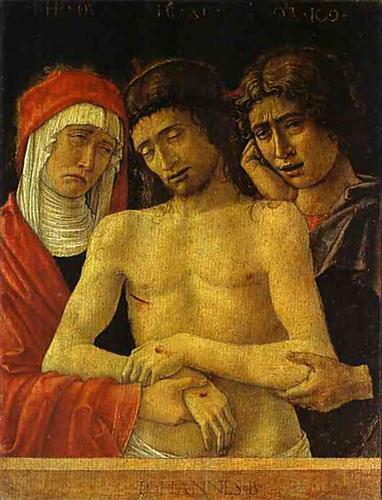 Visitors will be able to see Giovanni Bellini’s Pietà with the Virgin and Saint John, dated between 1455 and 1460, a mournful complement to his later Madonna and Child, which is already in the Met’s collection. 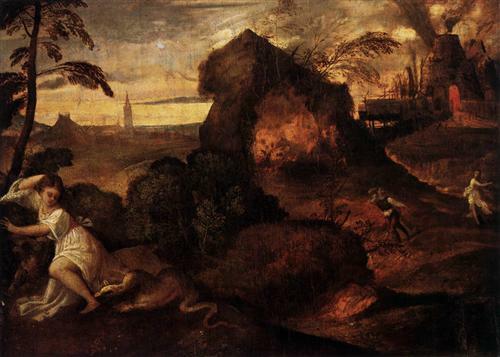 From Titian there is the very early Orpheus and Eurydice, thought to have been painted between 1508 and 1512 and from Lorenzo Lotto there is the charming portrait of Lucina Brembati, who wears a large, jewelled toothpick on a gold chain around her neck. Among the less familiar sights are three small narrative paintings from a Lotto altarpiece that have not travelled before and works by Giovanni Cariani, Andrea Previtali, Moretto da Brescia and Vincenzo Foppa, artists not so well known outside Italy. For more information about the exhibition visit www.metmuseum.org. Visitors to Bergamo can enjoy fine paintings from the Accademia Carrara collection and see inside the 12th century Palazzo della Ragione in the Città Alta (upper town) at the same time. The exhibition ‘Vincere il Tempo’ (literally Winning Time) in the Truss Room of the Palazzo follows the collecting history of the Accademia, which was begun by Giacomo Carrara in the middle of the 18th century and has since received donations from many other passionate art collectors. The entrance to the exhibition is up the covered staircase in Piazza Vecchia and along the little bridge that leads to the top floor of the Palazzo. The ticket price is €5, but there are reductions for groups and families. The building that usually houses the Accademia Carrara’s distinguished collection in Piazza Giacomo Carrara in the Città Bassa is currently undergoing extensive restoration work. For more information visit www.accademiacarrara.bergamo.it.